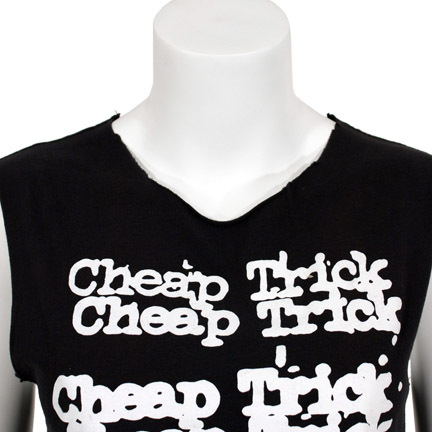 This Cheap Trick t-shirt by Sourpuss Clothing was worn by entertainer Miley Cyrus and appeared in multiple paparazzi photos taken in 2010, many of which were featured on British TMZ and other assorted entertainment related websites. 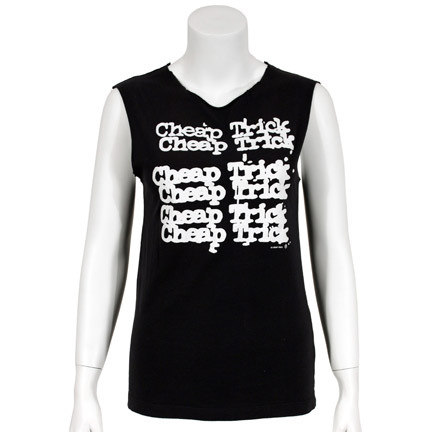 The black t-shirt with repeating “Cheap Trick” logo in white on the front has had the original sleeves and collar cut out. 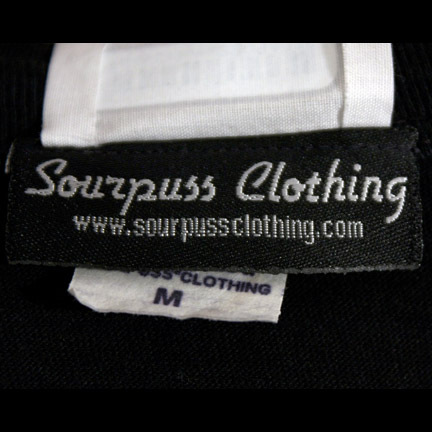 Ms. Cyrus’ personal fashion style and stage wardrobe both rely heavily on classic rock references including performers such as David Bowie, Iron Maiden, Blondie, and others. 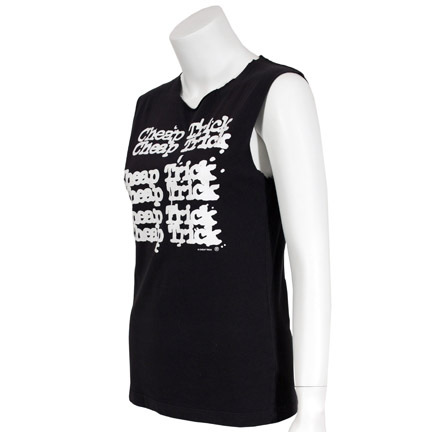 She also appeared wearing a bare midriff cutoff sleeveless version of this same Cheap Trick shirt design during a live performance at the 1515 Club in Paris in 2010. 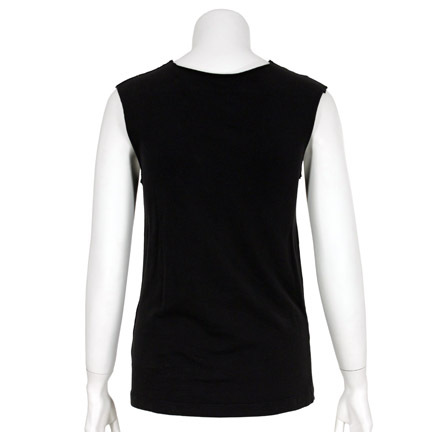 This item was acquired directly from the costume house that supplied Ms. Cyrus with the wardrobe and is accompanied by a certificate of authenticity.